Celebrity EdgeSM has been handed over to Celebrity Cruises by Chantiers de l’Atlantique. 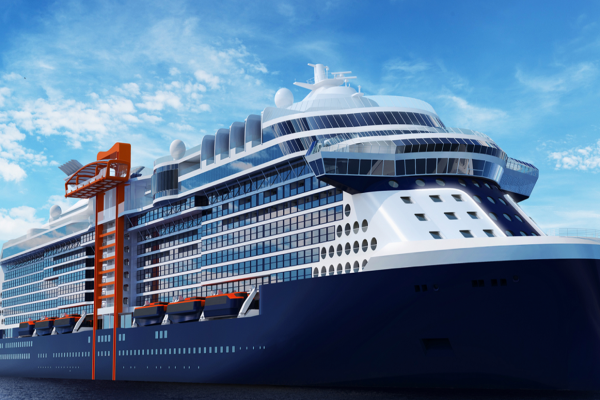 Celebrity Edge is the ship that is leading THE CELEBRITY REVOLUTION, a modernization of the entire Celebrity fleet, aiming at improving the way guests experience the world and giving them the vacation they truly deserve. 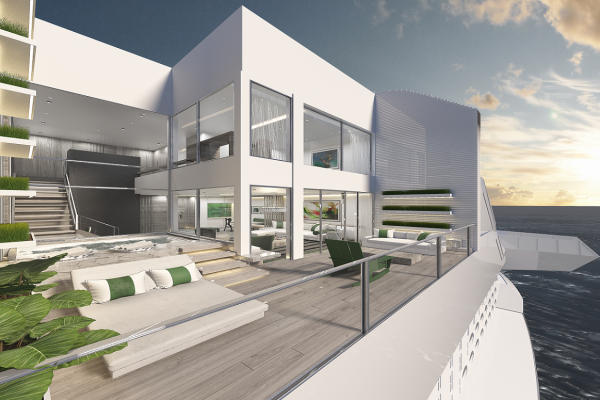 With its transformational design, Celebrity Edge is ready to raise the bar on modern luxury travel. A large and significant part of the experience for the guests aboard is their accommodation. 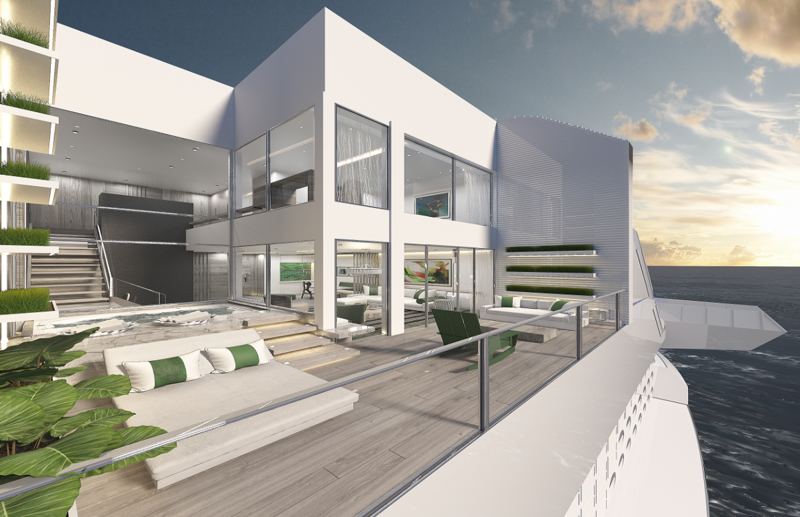 Interior Architect MBE Kelly Hoppen has created several different and amazing settings for this experience on Celebrity Edge. Her vision evokes the intimacy of an inviting, indulgent urban apartment that opens to the most beautiful scenery on earth. 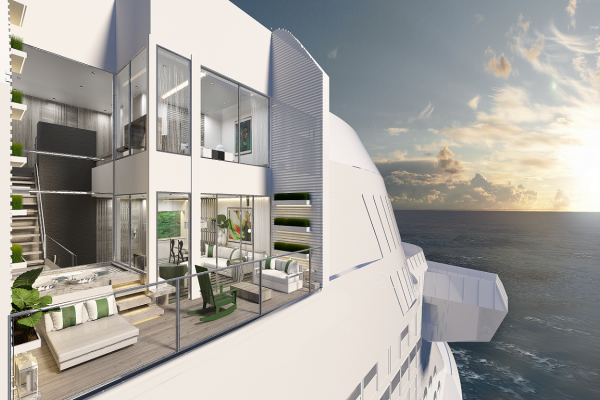 Across the ship, the boundary between inside and outside living space is erased. 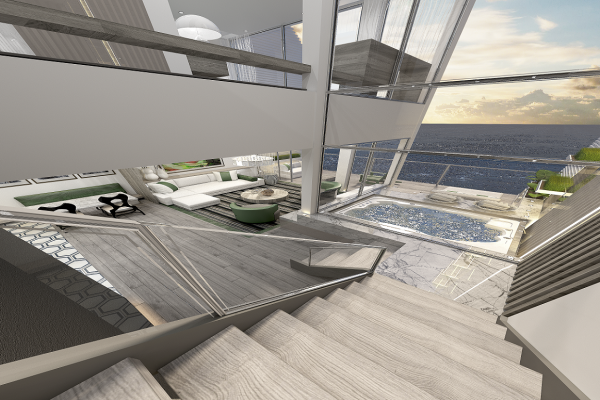 An example is the Edge Staterooms with “Infinite Verandas”, offering the possibility to open up the doors completely and integrating the veranda in the room. “The Retreat” is the exclusive sanctuary for suite class guest only, offering access to exclusive retreat areas and services. 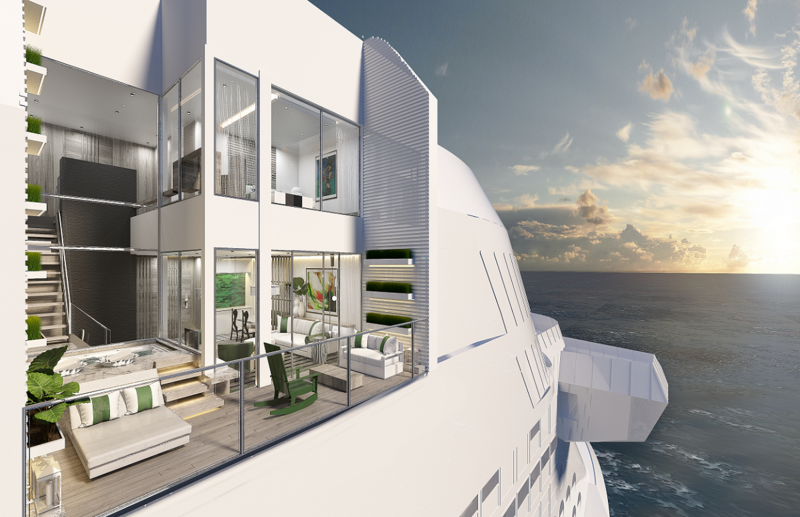 The Iconic Suite guest will feel on top of the world—literally. Positioned high above the bridge, these suites offer panoramic views from front to back. With more than 2,500 square feet of indoor and outdoor opulence, Iconic Suites are also the most luxurious and largest in the Celebrity fleet. 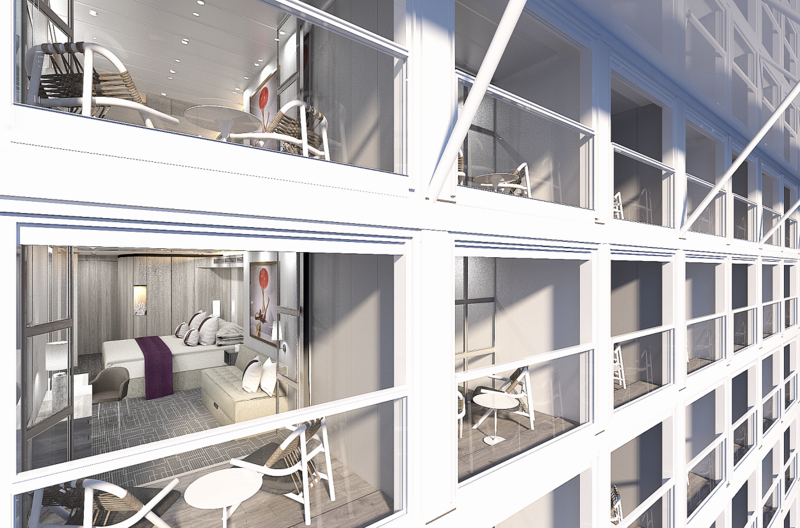 For further information on the accommodation options on Celebrity Edge, please visit the website of Celebrity Cruises. 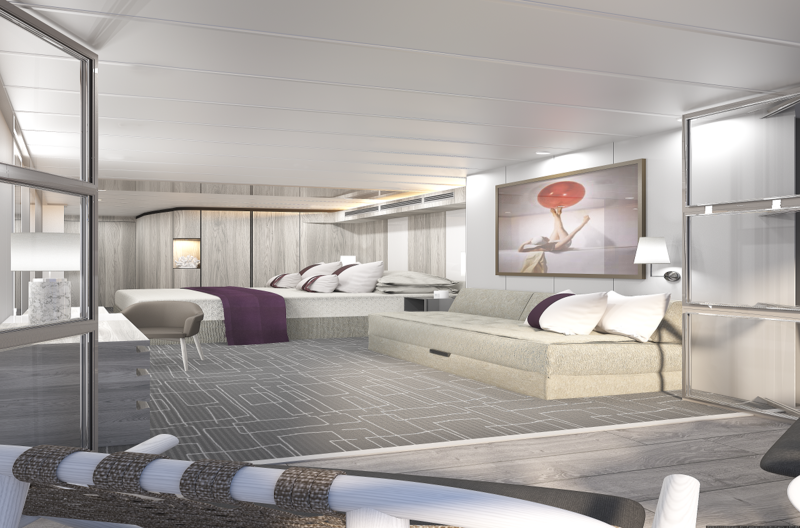 For Dansk Wilton, each carpet project is something special and Celebrity Edge is no exception: “It is very exciting to deliver carpets for such an ambitious project and we are looking forward to seeing the final result with our carpets merging with the rest of the interior. 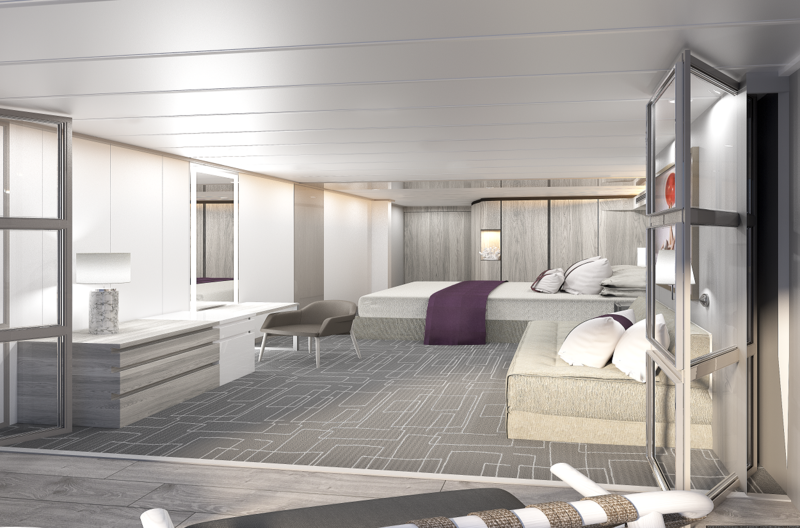 We are proud to be involved in the interior design of this fascinating cruise ship helping to ensure the good guest experience and the luxurious accommodations”, Thomas Rasmussen, Export Manager, Dansk Wilton. Read more about Celebrity Edge on the website of Celebrity Cruises. Dansk Wilton delivered custom design Colortec carpets for suites and cabins.